Nigeria's quest to generate electricity from nuclear sources has received a boost, as the country has settled for two sites to house the first plants. 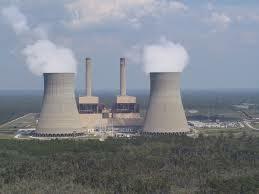 Nigeria plans to generate 1,200MW from first nuclear power plant in 2025 and increase to 4,800MW in 2035. The Nigeria Atomic Energy Commission (NAEC), which announced the development in Abuja yesterday, stressed that experts from the International Atomic Energy Agency (IAEA) are currently in the country to assess the country’s readiness for nuclear power generation. Deputy Director-General, IAEA, Dr. Mikhail Chudakov, who is head of the IAEA’s delegation on a two-week trip to Nigeria, said in Abuja that Nigeria should be prepared to take adequate responsibility for the safety culture and for safe operation of a nuclear power in the country. A presentation on the Phase 2 Integrated Nuclear Infrasstructure Review (INIR) Mission in Abuja, NAEC Chairman, Mr. Erepamo Osaisai listed the identified areas as Geregu in Kogi State and Itu in Akwa Ibom State. He said a detailed evaluation and characterisation are to be conducted on the preferred sites on the approval of government in Geregu, Ajaokuta Local Council of Kogi State and Itu in Itu Local Council of Akwa Ibom State.